Enlight Records proudly presents Goa Aditana – the long awaited debut from the multi-instrumentalist Jonas Cout, from Rio de Janeiro, Brazil. Embracing the freedom that the slower side of the psychedelic spectrum gives, the artist manages to create a fresh and harmonious trip full of new ideas and original music, walking the line between melody and introspectivity. Twisted electric guitars played by the artist gives the album a unique and warm feel. Mastered by Nectarios (Martian Arts), artwork by Pamella Simioni. MP3 Download | FLAC Download | WAV Download · Download count: 6,516. So much musicality! Excellent Work! Very nice, rich in melody and rhythm! Awesome EP!!! It’s nothing less then brilliant!! It’s strong but still chilled! Awesome work! Prepare your mind and have a nice trip! very good brother… I’ve been following your rithin since turkey, the evolution is a gift for you.. congrats. По моему ерунда полная ,музыкальный дебилизм автора прослеживается во всем от семплирования чужих композиций Trobing Crystal, до апогея идиотизма композиции Das Kuthumi . 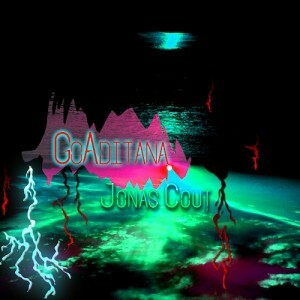 Jonas Cout – Goa Aditana самый худший альбом на этом сайте!